Nothing will keep you warmer on a cold winter day than a soft and cozy flannel rag quilt. If you have never made a quilt before or have never worked with flannel, this is probably a really great choice for you. 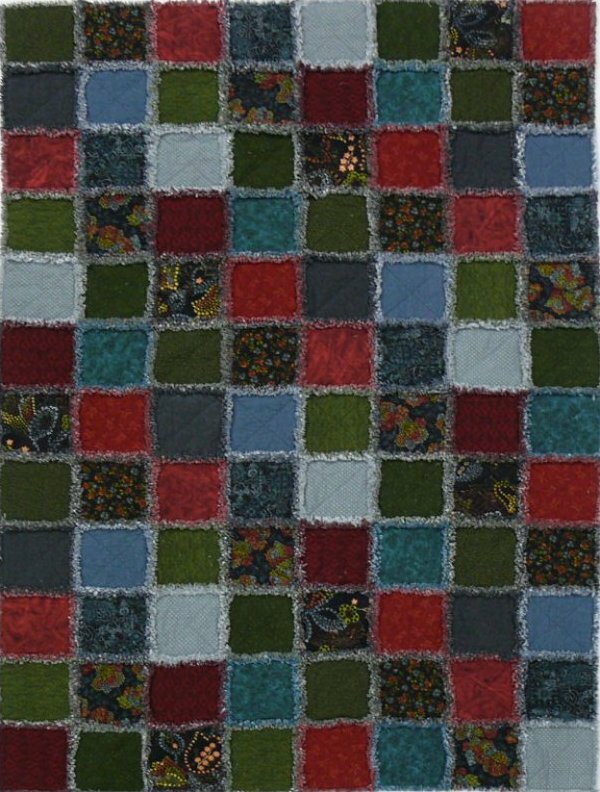 The best thing about a rag quilt is that you quilt each block as you go, so you can finish the quilt yourself, from beginning to end. We want to give you fair warning; everyone in your house will be fighting over who gets to use the rag quilt. You may want to plan to make more than one right from the start.